Chitkara University, Himachal Pradesh, students made the University proud by bagging various medals in IIT Mandi Sports Fest, Rann-neeti ’18. With over 1000 participants, Rann-neeti is just the perfect event to catch glimpse of the immense sporting potential that we possess as a nation. 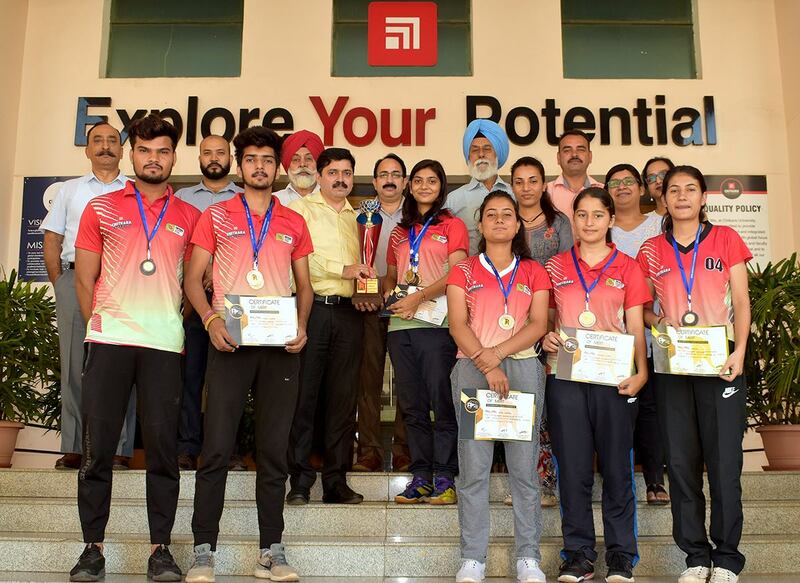 In total, around 40 colleges participated from all over the country in 12 events – Athletics, Badminton, Basketball, Chess, Cricket, Football, Lawn Tennis, Table Tennis, Volleyball, Hockey – to show their might in the field of sports. In the Long Jump (boys), Triple Jump (boys) and 800m Race (girls) CUHP students bagged 3 Gold Medals, while in the Long Jump (girls), 400m Race (girls) and Shot Put (boys) students were awarded 3 Bronze Medal, in each category. In Badminton (girls), our students won the Runner-up. Congratulations to all the winners from Chitkara University, Himachal Pradesh!